Note that it will automatically detect rss feed url from the home page. You will get a confirmation message as show below if ping is successful. 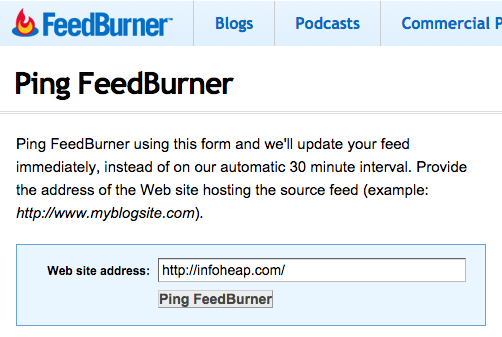 Visit you FeedBurner feed url (e.g. http://feeds.infoheap.com/infoheap) and ensure that it is refereshed and has latest posts. 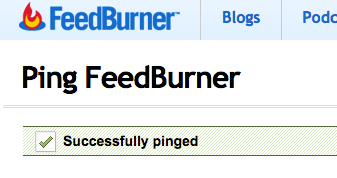 Note that you should also enable PingShot in your FeedBurner account. PingShot is quick notification service that enables your feed to be updated in the widest variety of places as quickly as you add new content.